This amazing piece is designed with sterling, gold filled and oxidized black sterling chain linked to gold filled or sterling circles. 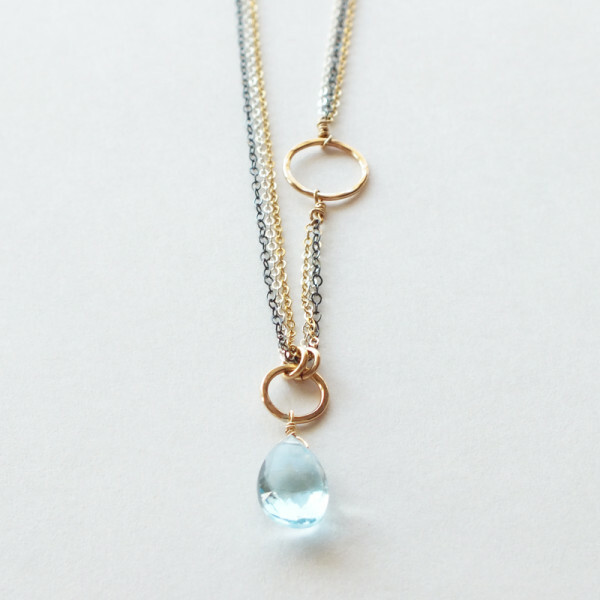 A beautiful blue topaz gemstone hangs from one of the circles. 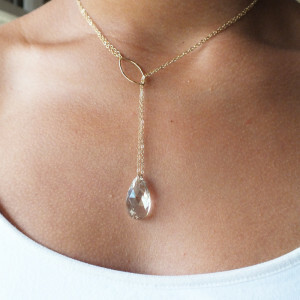 This can be worn as a traditional lariat or opened up and worn long. 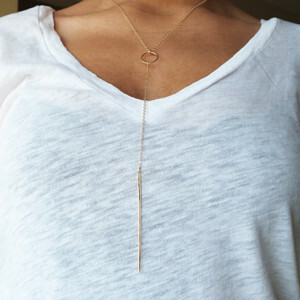 Same metal chain is also an option.